12/17/17 The braid of a young woman sitting in front of me on the bus. No inspiration here, just practice, captured because I had a sketchbook handy. 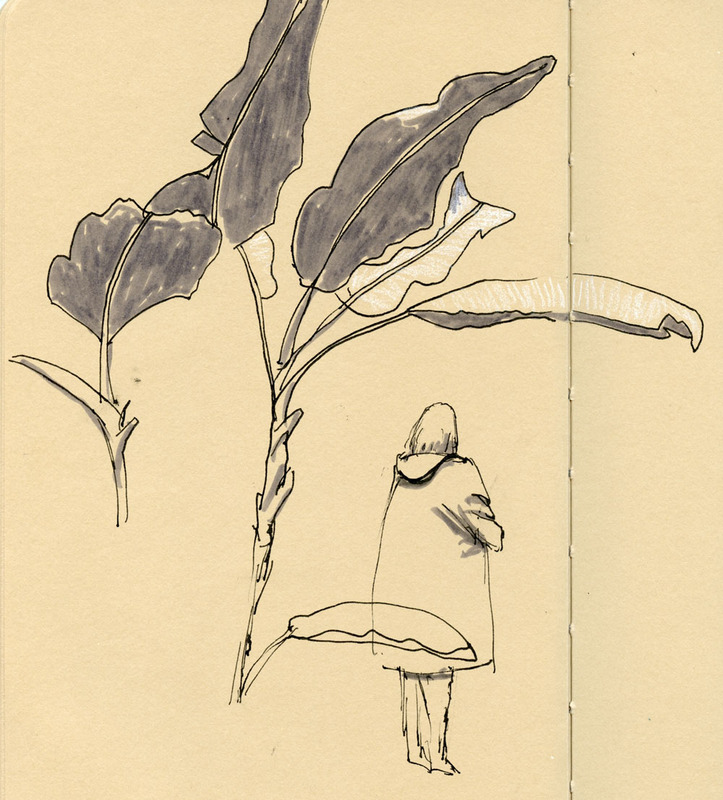 Carry a small sketchbook with you always. No exceptions. You’ve heard this suggestion countless times from many people, I’m sure, and it’s a good one. You never know when the smallest, most insignificant thing will give you an opportunity to practice. Notice I didn’t say the smallest, most insignificant thing that might inspire you – this has nothing to do with inspiration; it’s about practice. Use whatever sketching tool you are most comfortable with. Recently I overheard a conversation in which a new sketcher asked someone, “I noticed that lots of urban sketchers use Lamy fountain pens . . . should I get one? I’ve never used a fountain pen before, but it must be the best pen for sketching or something . . .?” I would never recommend to someone who has never used a fountain pen to use one as they begin their sketching adventure. Anytime you use a medium you are not familiar with, you are trying to learn to use the tool at the same time that you are trying to learn a whole new skill set. 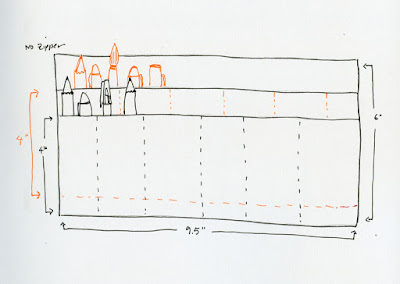 Drawing is challenging enough; why complicate it? 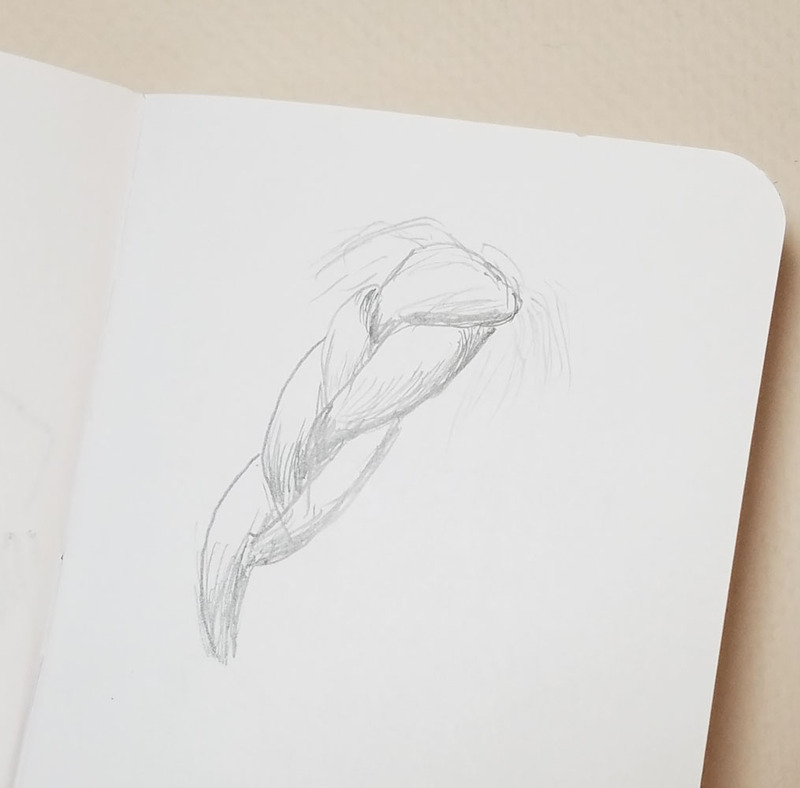 Just use the thing you are already comfortable with so you can focus on sketching. 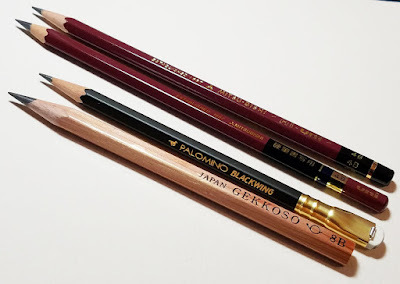 Some of the bicolored pencils I'ved tried -- with disappointing results. 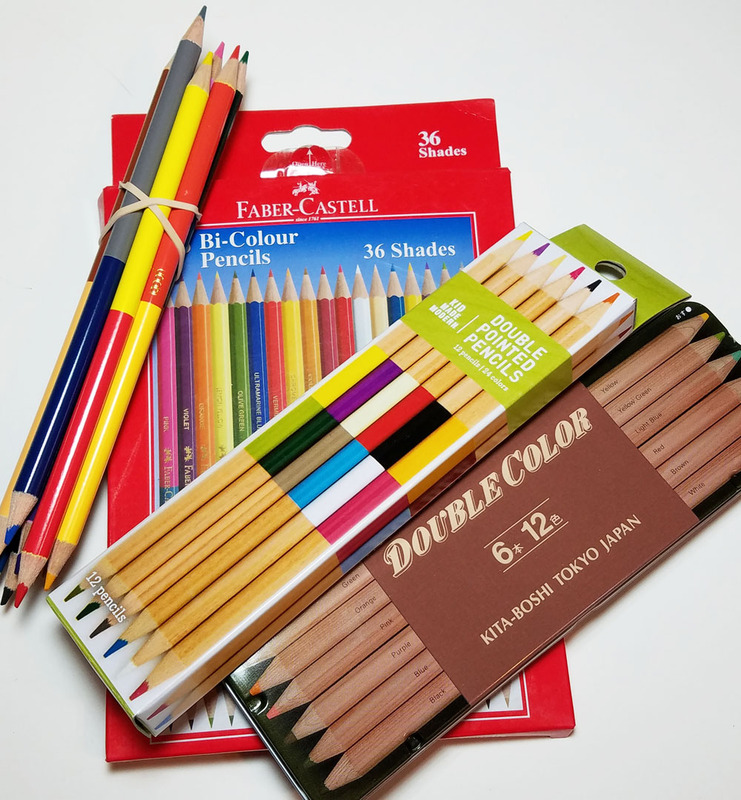 Good quality, double-sided colored pencils, preferably with water-soluble cores. The idea for today’s post came to me a few days ago when I was putting together my minimal kit and wishing I could have a few more compact colored pencil colors. Every time I see a set of bicolored pencils, I try them with high hopes, but invariably my hopes are dashed: Most such pencils are a novelty intended for kids, and the cores are hard and pale. Caran d’Ache’s red/blue Bicolor is the one exception – high quality and with the same water-soluble cores as their Supracolor collection. I wouldn’t need a huge color range – just the basics that would come in a standard 12-color box, but compressed into six sticks. How about it, Caran d’Ache? Edited 6/4/18 See the product that fulfilled this wish list item! At least for now. Such a handy brush! But the bristles could use work. A waterbrush with real bristles. 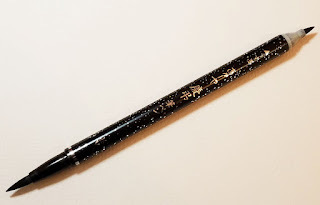 I’m not talking Kolinsky sable – synthetic hair would do just fine – but I want bristles of better quality than the vinyl on all the waterbrushes I’ve used. 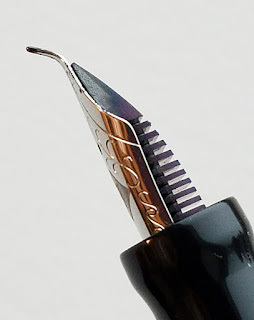 I suspect that the fact that waterbrush bristles are always wet is a reason why this hasn’t been developed yet; the constant moisture would probably wreck the hairs. 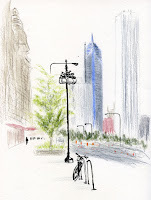 But with so many urban sketchers using water-soluble media, a waterbrush like that would make some clever inventor wealthy! I know an urban sketcher who makes his own double-sided implements this way. A brush pen with black ink on one end and gray on the other – both waterproof. This is just a small tweak of the highly versatile and compact Akashiya Keicho doubled-sided brush pen, which contains water-soluble inks. 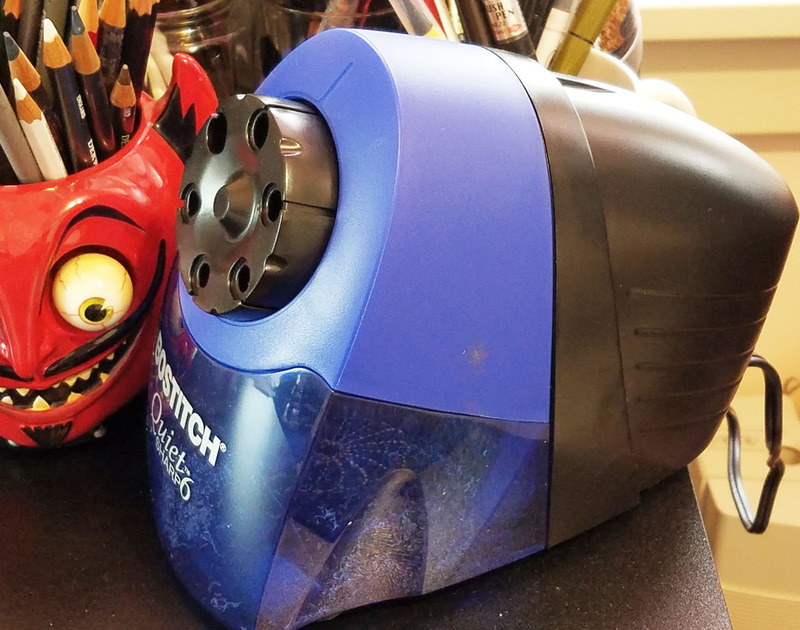 A better portable pencil sharpener. 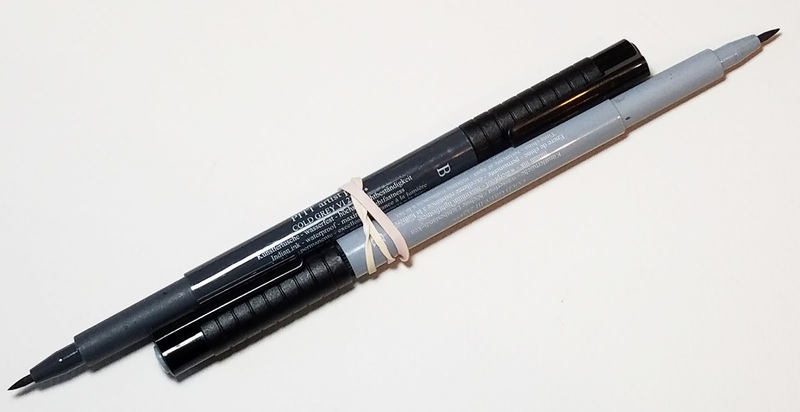 The Kum 2-hole I’ve been using is OK, but I wish there were a better alternative that still accommodates my larger-barreled Caran d’Ache Museum Aquarelles. The domed case is clumsy and leaks shavings, and while it gets the job done, I have to twist pencils carefully to avoid breaking the core. Edited 1/9/19: This wish just came true -- though it's hazardous! Read my review of the M+R. 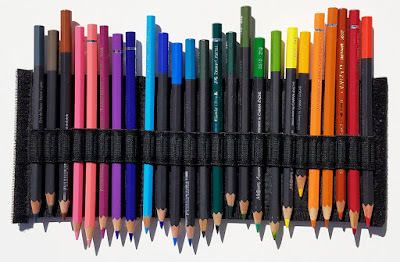 The design for my ideal in-bag pencil/pen case. A single, upright, slotted pencil case that would Velcro onto the inside of my Rickshaw Bagworks bag. 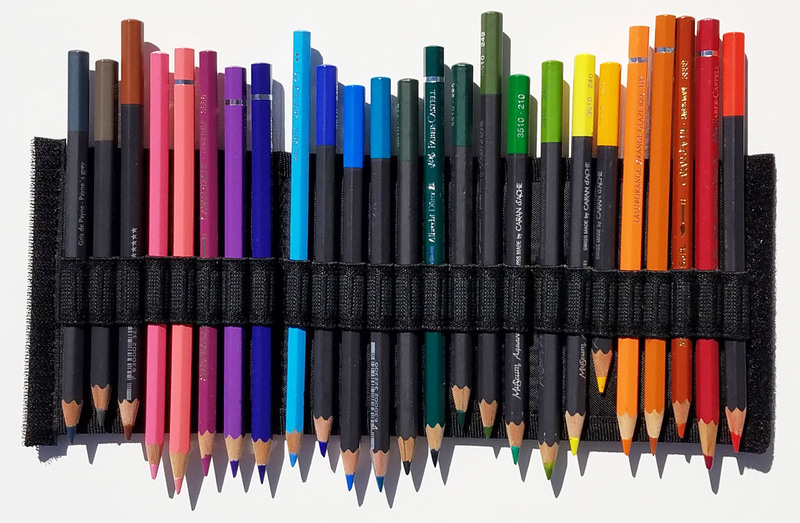 This would be a counterpart to my Tran Portfolio (which houses my colored pencils) and would replace my hodge-podge of multiple organizers for the rest of my implements. I’ve already designed it and drawn the pattern – I just need someone to make it for me. (Oh, I suppose I could DIY it, but that would mean hauling the sewing machine out of the closet and trying to remember how to thread the bobbin . . .) Updated 5/7/18: This wish list item has been fulfilled! It’s a reasonably modest list, I think. What’s on your wish list of not-yet-invented products? The most minimal sketch kit I've ever used for daily-carry! For the past month or more, I’ve been thinking about streamlining my sketch kit (at least temporarily). My goal was to begin in January when I was done with festive holiday colors, but I finished filling a signature of my usual DIY sketchbook at Swanson’s last Friday, so I dumped out my bag the next day. As I mentioned in last month’s post, I think my sketch kit always begins with the sketchbook, which guides all the other choices. 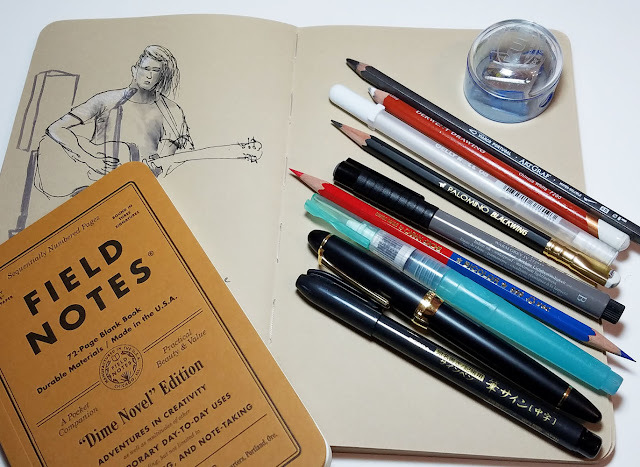 Without much expectation for color in these wet and gray months, it’s a good opportunity to give toned paper the solid trial I have been wanting to give it, so a 5 ½-by-8 ½ inch Stillman & Birn Nova is my sketchbook of choice. A few months ago I gave the gray one a shot for urban sketches, but I really enjoyed using the tan one for life drawing at Drawing Jam a few weeks ago (and more recently at Zoka Coffee). I’m starting this personal challenge with the tan one, but I may switch to gray if I feel like it, just for a change (all other tools would remain the same). In the past when I’ve experimented with using a S&B softcover sketchbook as my daily-carry, I’ve found it to be bulkier than I like (especially compared to a single signature of paper, which is my usual daily-carry). But with all my colored pencils and other materials taken out, my bag has plenty of room for it. 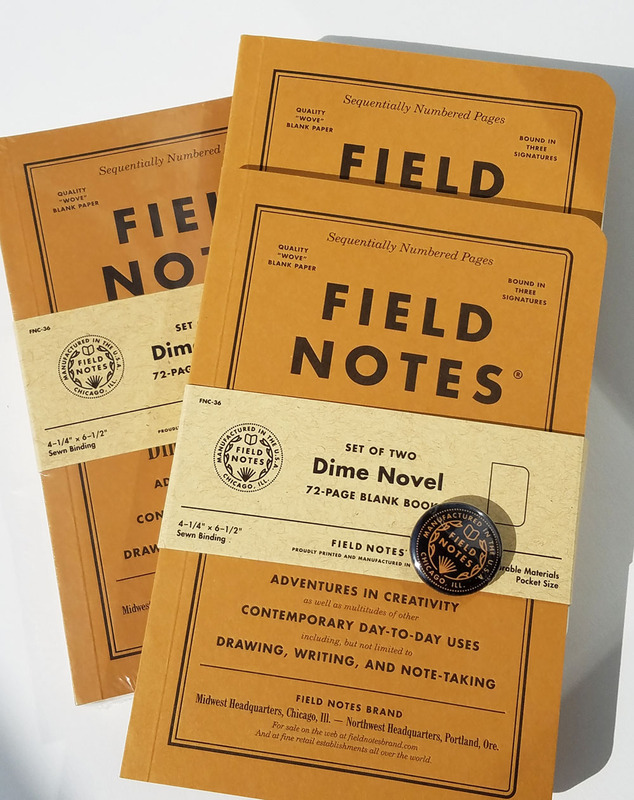 In addition to a Nova as my primary sketchbook, I’m also carrying a small Field Notes notebook as always. Normally I prefer a red one, but since that’s basically toned paper too, it seems redundant during this challenge. I’m starting with a white one, which would give me different options while using the same tools. My usual Kum portable pencil sharpener. Viarco ArtGraf 6B water-soluble graphite pencil. I was tempted to put in a Gekkoso 8B or some other super-soft graphite to go with the Blackwing’s medium softness (the two together are a good pairing for value studies). 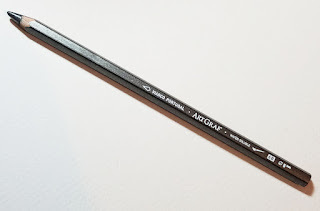 But since the ArtGraf is water-soluble in addition to being dark and soft, it works double-duty, giving me more bang for the slim sketch kit buck. 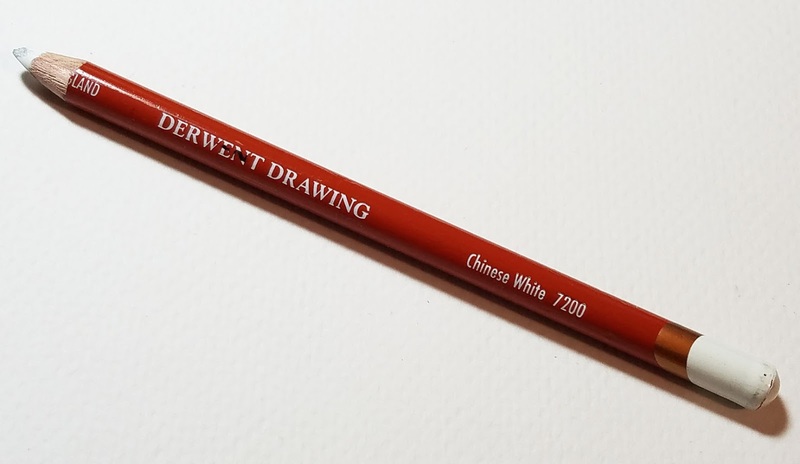 Chinese white Derwent drawing pencil – for soft highlights, especially on skin. 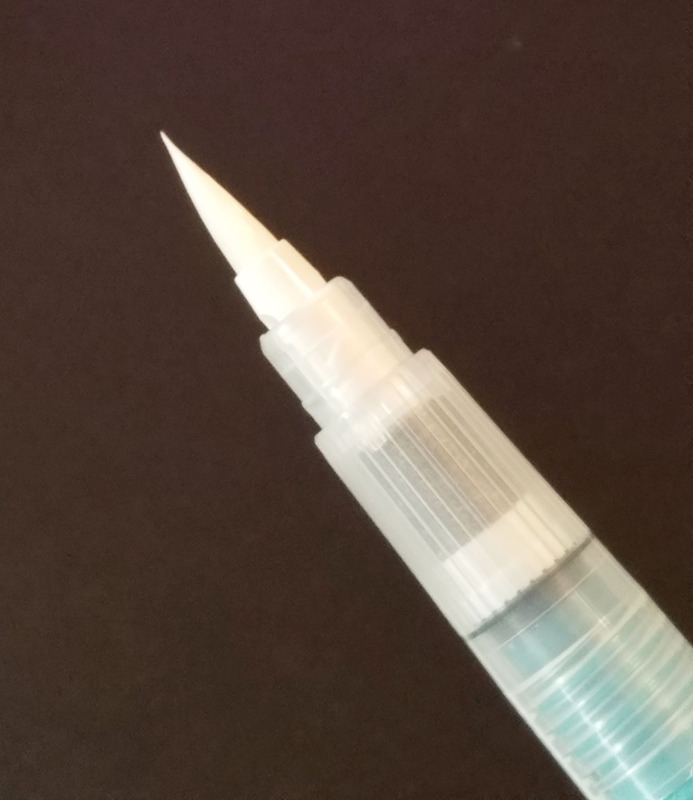 White Gelly Roll gel pen – for shiny-bright highlights. Blackwing graphite pencil with the softest core (ungraded, but about 4B). Faber-Castell Pitt Artist Pen in a medium warm gray. 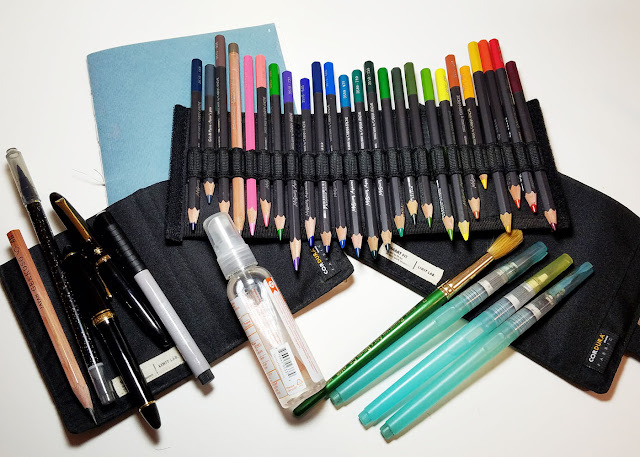 Mini-size Kuretake waterbrush – to use with the water-soluble pencils. My favorite Sailor fountain pen with fude nib with water-soluble ink. Zebra (non-hairy) brush pen with waterproof ink. My intention is to stick to this basic set of tools, but as with the sketchbook, I reserve the right to switch out one implement for another if something isn’t working as I had hoped. But I want to avoid thinking about the kit and switching materials every time I go out, because that would defeat my guiding principle of keeping things low-maintenance. A prototype sketch kit case made by my favorite bag manufacturer. These specific tools weren’t difficult to choose; most of them appear on my list of 2017 Top Products, so they are already time-tested and trusted. 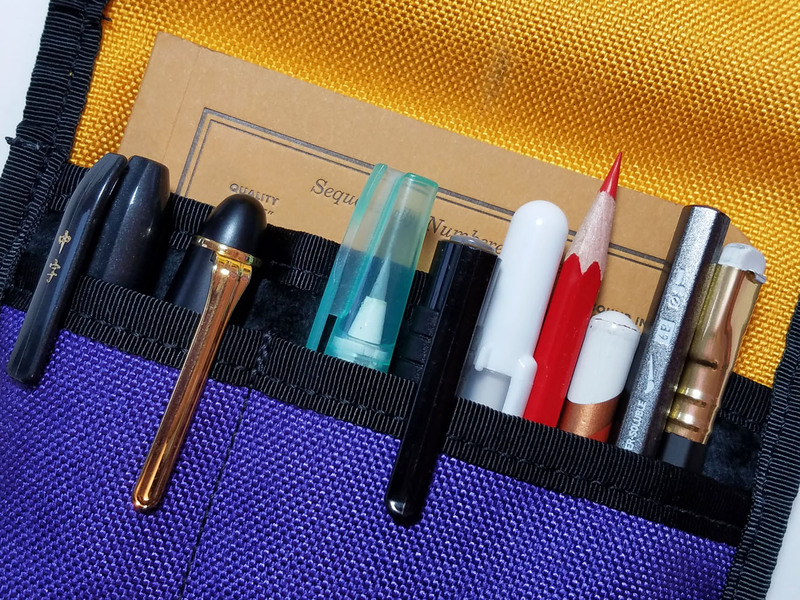 But there’s an important reason why I am committed to sticking with this particular number of tools: It’s exactly the number that fits in this beautiful case, which also has room for a Field Notes notebook or a 3 ½-by-5 ½ inch Stillman & Birn sketchbook. Slim and compact, it fits nicely in my bag. (It’s a prototype case that I’m testing for the manufacturer. It hasn’t been released publicly, so I’m not allowed to talk about it, but I’m really hoping it will eventually go into production.) The case is not just convenient and attractive; it’s also self-enforcing. If I want to put something new in, I must take something else out or it won’t fit. It’s going to keep me honest for this self-challenge. Although bag weight is not a primary concern or motivator for this challenge, I have had shoulder issues in the past, so I do try to minimize the weight of my daily-carry in general (and especially when I travel). I weighed my bag with all my usual gear, and it came in at just under 4 pounds (1.78 kg). With my slimmed-down kit, my bag now weighs about 3 ¼ pounds (1.49 kg). I’m a bit surprised that it doesn’t weigh even less, but the S&B sketchbook weighs quite a bit more than a single DIY signature. That’s it – my super-minimal, daily-carry kit! I am committed to it until the S&B Nova sketchbook is full. And just because I know you’re curious, shown below are all the things I took out of my bag! 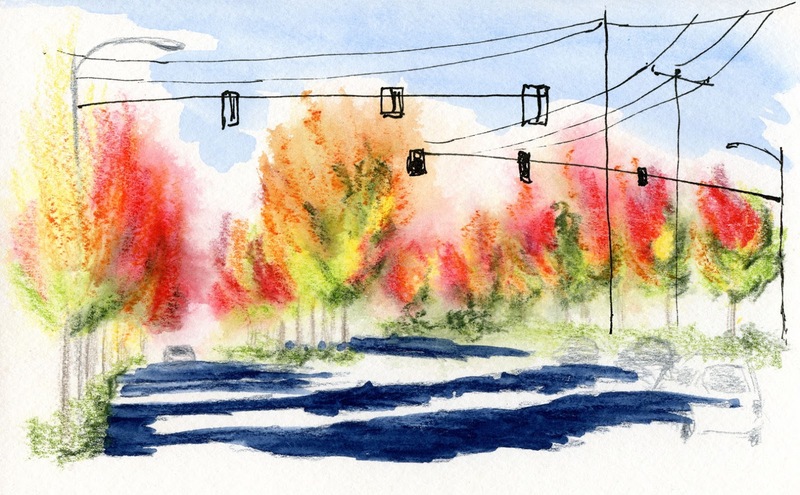 Ejected: 25 water-soluble colored pencils, 4 pens, 1 pencil, water spritzer, 4 brushes. The two black cases hold the implements upright inside my bag. 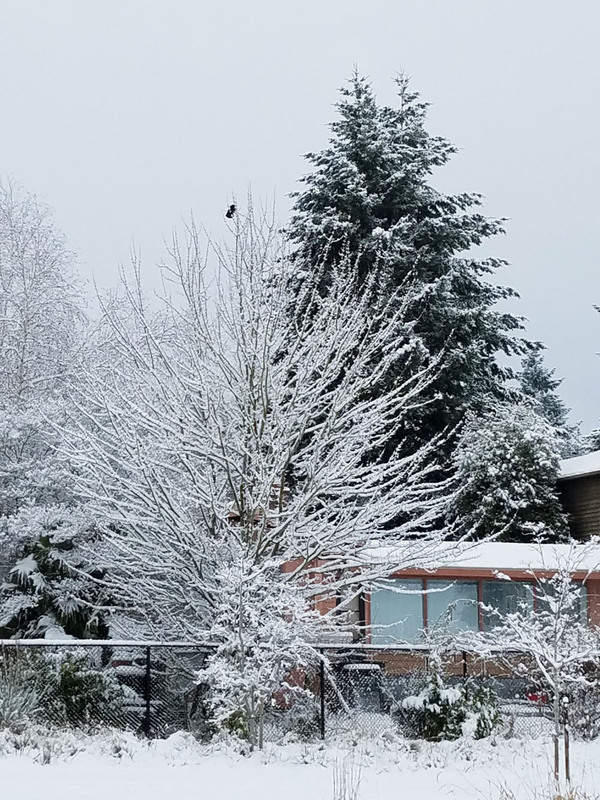 Edited 2/19/18: Find out about the results of my two-month minimalism challenge! One of my end-of-year traditions is to write an annual roundup of my top 10 products of the year. Unlike some roundups that include only products that were released that year, my criteria are different. 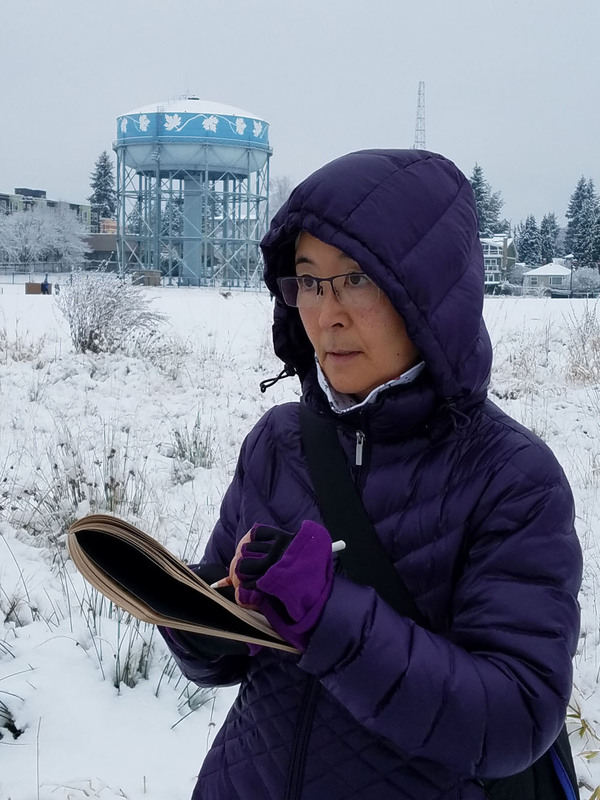 My focus is on things I use most often or that best support the way I prefer to sketch – on location, often outdoors, often standing, in a limited time. Versatility, convenience and compactness are the most important considerations. The challenge with this type of roundup and with my priorities is that many items on the list don’t change from year to year; they perform so consistently well for me that I have no reason to take them off the list (or out of my bag). Ho-hum – the roundup was getting boring. If I were ranking my choices numerically, close to No. 1 would be the Tran Portfolio Pencil Case, which has exponentially improved the organization of the couple dozen colored pencils I routinely carry. It replaced the Kutsuwa Dr. Ion organizer, which served me well for a couple of years. But once I committed to colored pencils as my only coloring medium, I needed a better way to carry and find the colors easily. The elegant Tran Portfolio was the answer. 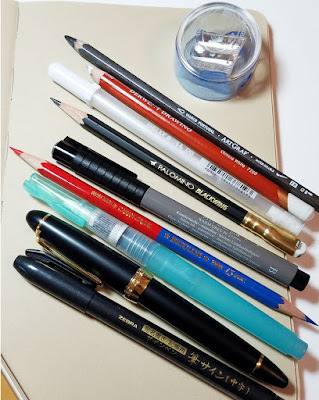 In last year’s Top 10 post, I speculated whether a graphite pencil would stay in my bag permanently or whether I would use it only in the blah-weather months. 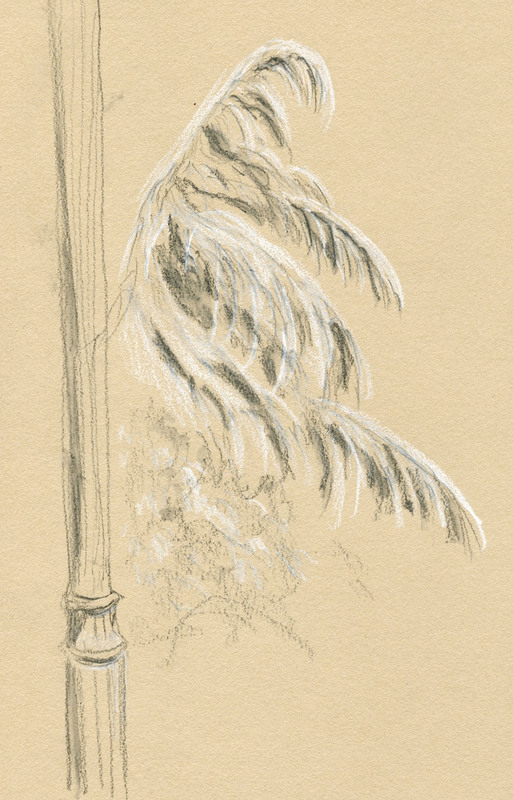 I admit, I didn’t use it much during the color months, but spending 10 weeks in a graphite drawing class gave me a much greater appreciation for this simple yet versatile medium. 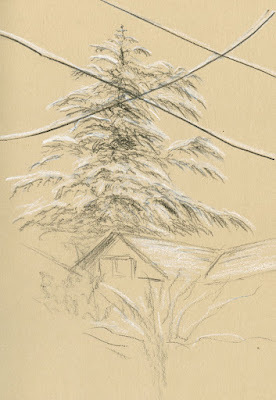 I especially like a pencil for doing quick value studies. As a result, a graphite pencil with a grade of about 4B is here to stay. Among the several I have been rotating are the classic Blackwing with the softest (ungraded) core, a Mitsubishi Hi-Uni 4B, and a Uni Penmanship 4B – all have velvety smooth, dark cores that are delicious to draw with. 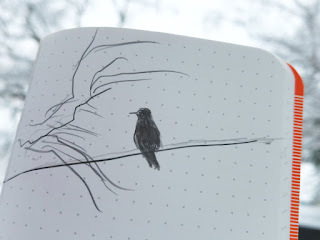 I also occasionally bring along a Gekkoso 8B, which is as close to charcoal as a graphite pencil can get (but without the mess, of course), because I love how fast and easy it is to get the blackest black with it. But because it’s so soft, it’s impossible to retain a sharp point when I want a thin line. In the interest of both versatility and compactness, a single Blackwing or Hi-Uni 4B can go a long, long way. 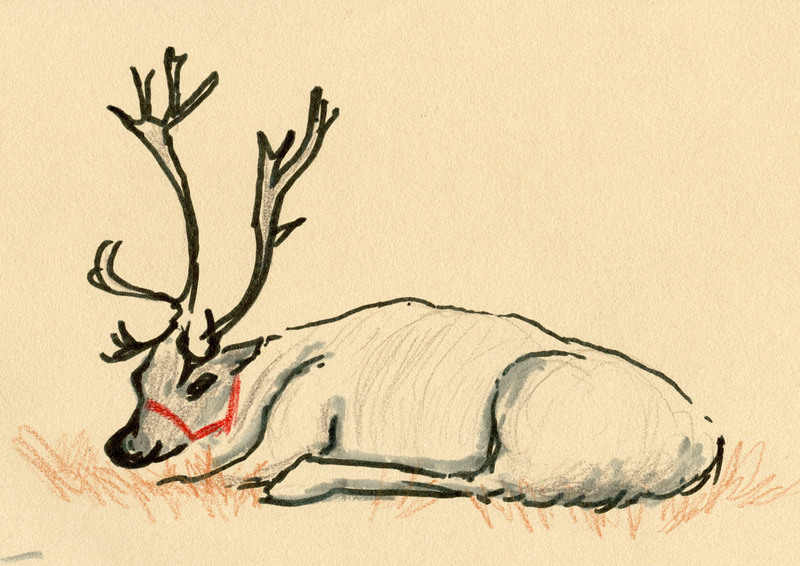 A soft white colored pencil is a keeper, too. 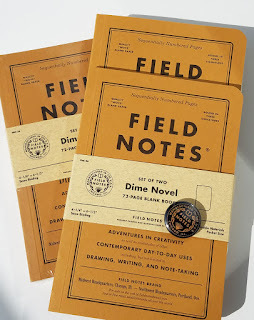 A constant in my kit since I started using a red Field Notes regularly, it’s an easy way to put highlights on toned paper. 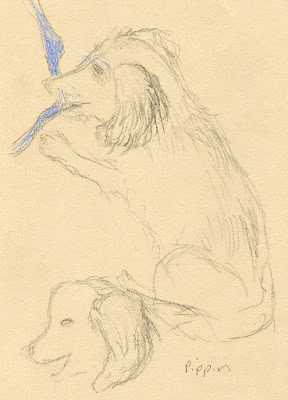 My favorite is a Derwent drawing pencil for its softness and large core. A fairly new addition to my bag is the Akashiya Keicho double-sided brush pen, but it has earned its keep many times. With black on one end and gray on the other, it’s both useful and compact. Products that receive honorable mention are ones that don’t stay in my bag permanently, but they have enough unique qualities that they will certainly reappear from time to time. I never thought I’d find a fude fountain pen nib that could compete with my all-time favorite Sailor, but Franklin-Christoph’s fude certainly comes close. Although it doesn’t have quite the smoothness of the Sailor, its fantastic line variation makes up for it. I’ll be rotating it in occasionally. Only products that I carry in my bag can make it onto my “Top” list, but if I were to make an exception, it would be the Bostitch Quiet Sharp 6 electric pencil sharpener. This workhorse takes colored and graphite pencils of all barrel sizes with equal aplomb. I stopped using my hand cranks and portable sharpeners at home as soon as I got the Bostitch. 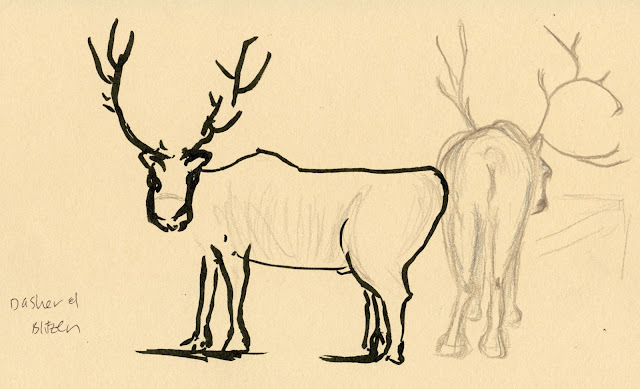 Here are links to my most memorable sketches of 2016, 2015, 2014 and 2013. 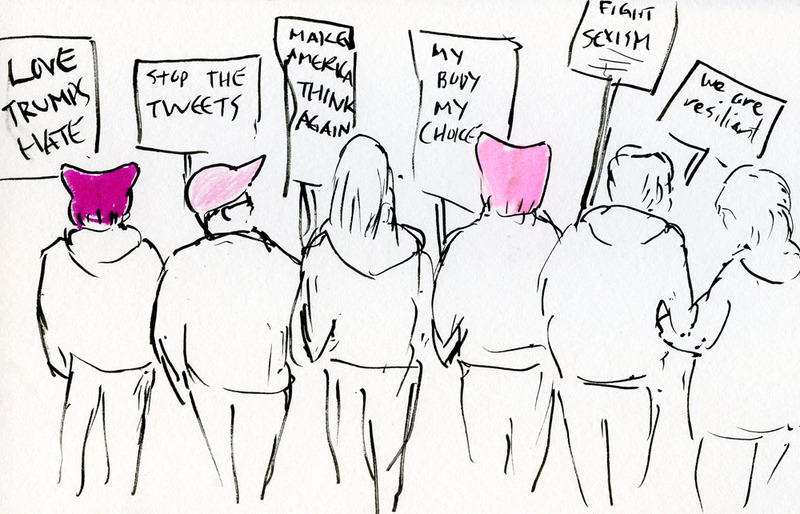 Jan. 21, Seattle’s Women’s March (above): Typically, I am not a politically active person. But Trump’s election stirred me as has no other political event in recent history. Despite much trepidation about joining what was expected to be a crowd of more than 100,000, I participated in Seattle’s Women’s March. 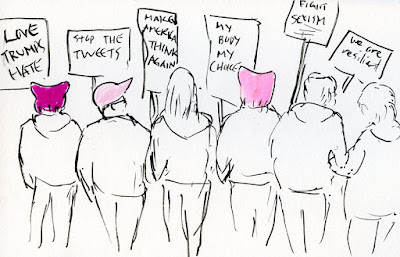 And while I never felt unsafe during our peaceful event, sketching as I walked made me feel “normal” while doing something that was 100 percent outside my comfort zone. 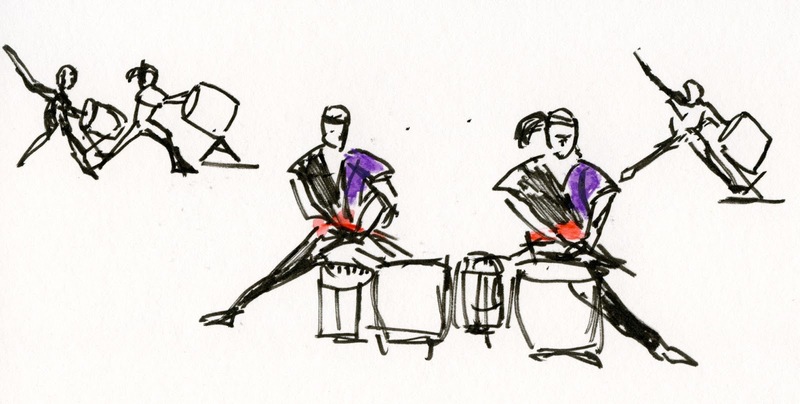 April 8, San Jose Taiko concert (left): When I heard that San Jose Taiko, a highly acclaimed professional taiko group, would be performing in the Seattle area, I was thrilled! My niece Alix is a member, and I hadn’t seen her perform in many years. May 10, Manarola, Italy (left): Of the Cinque Terre’s “five lands,” Manarola is one of the most picturesque. 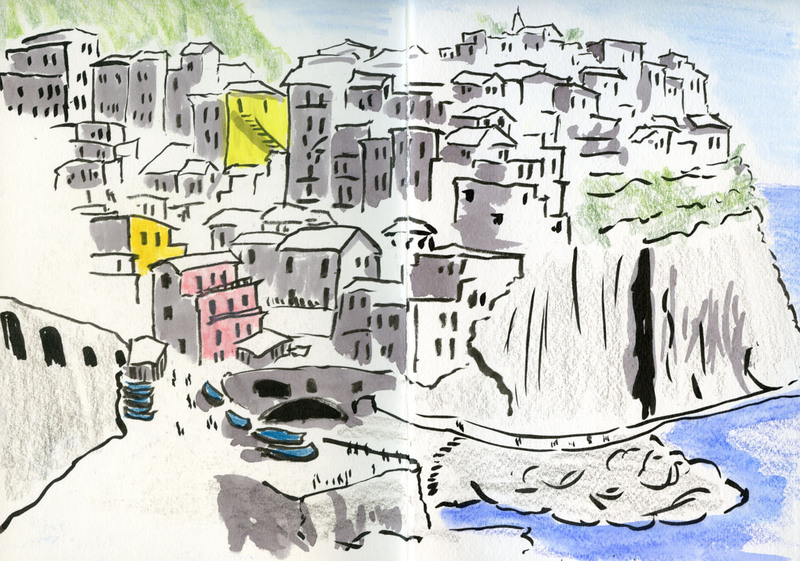 The scene I sketched is one that appears on many postcards and in guidebooks of Italy. Although I had first seen it in 2006, I wasn’t sketching yet then. It felt both intimidating and fulfilling to finally sketch it. 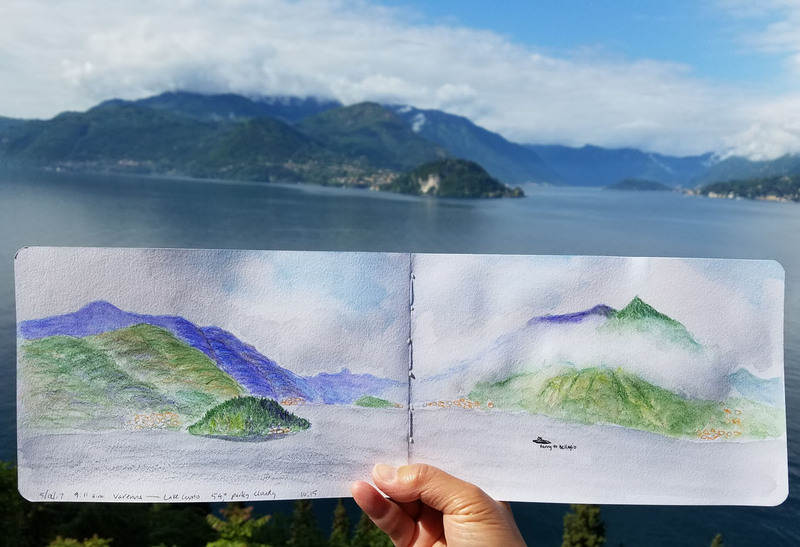 May 12, Lake Como, Italy (left): Two days after that memorable sketch in Manarola, I had a personal breakthrough when I sketched Lake Como from Varenna using colored pencils. 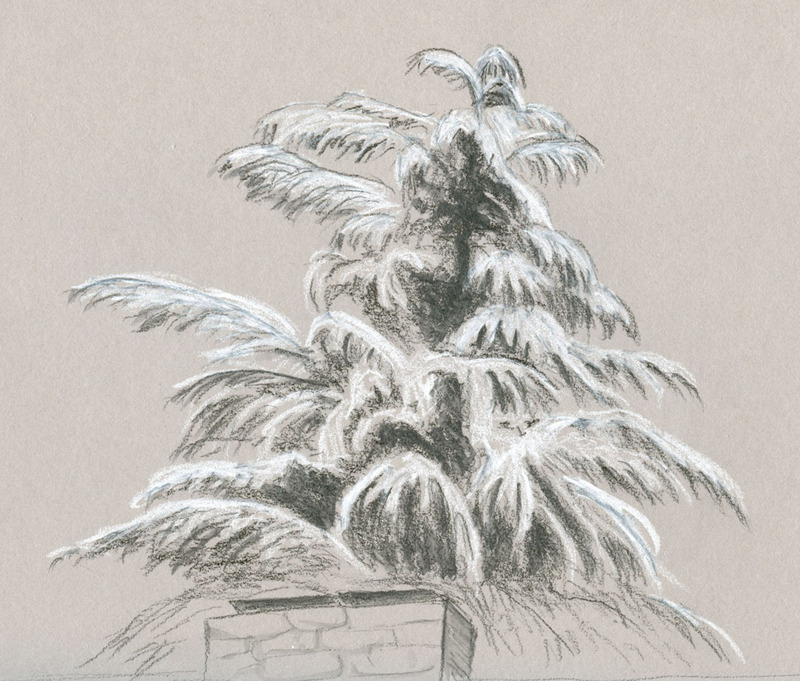 This landscape sketch is of the type that I thought wasn’t possible on location with colored pencils because of their time-consuming nature. I was ecstatic to have found a way to do it in an hour. 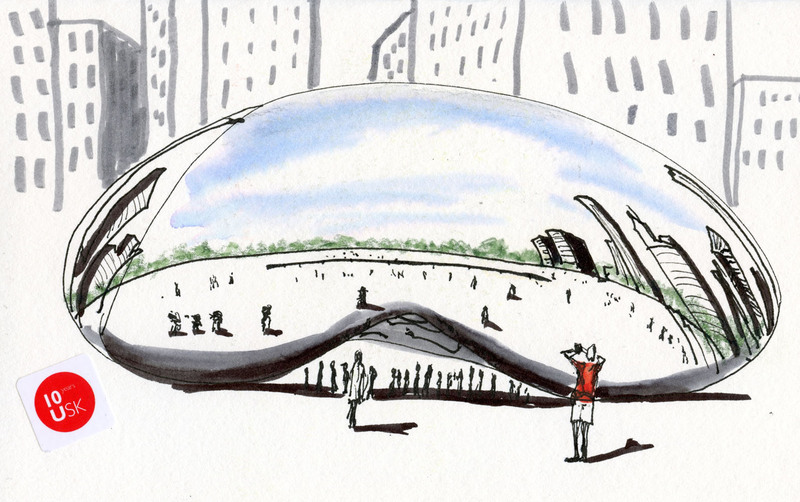 July 26, Cloud Gate, Chicago (below): Although it wasn’t a scheduled symposium event at that point, many sketchers ended up wandering over to Millennium Park on the first day of the symposium to sketch “the Bean” (officially named Cloud Gate). I was happily reunited at the park with many sketchers I had met at previous symposiums. The most memorable meeting was with Joan Tavolott, whom I have known for years through our blogs but had not met in person until that day at the Bean. 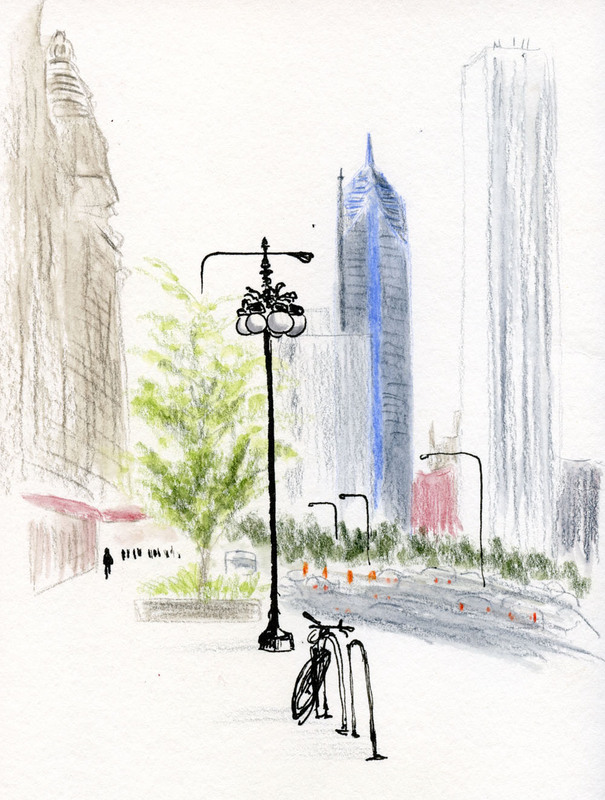 Aug. 1, Michigan Avenue, Chicago (left): By the time I sketched this view from Michigan Avenue of my favorite Chicago building, the metallic blue Two Prudential, the symposium was over, and I was getting ready to leave town that afternoon. 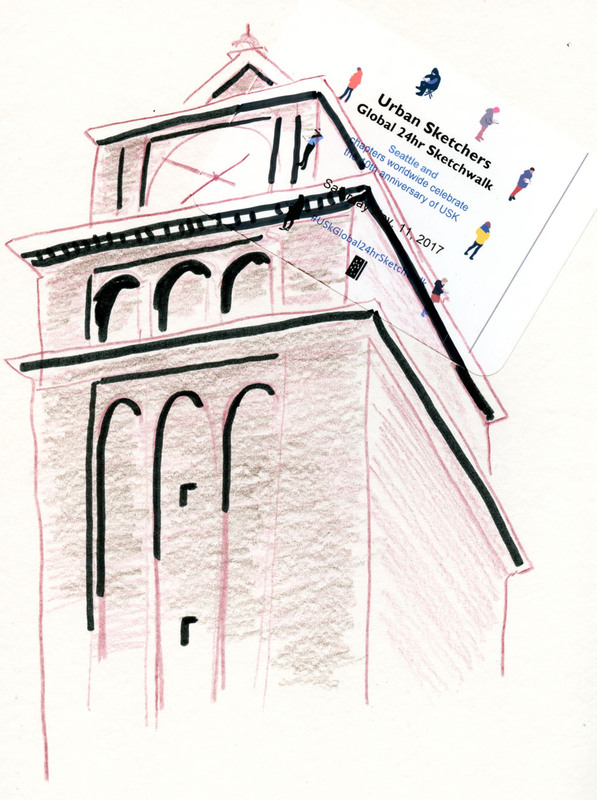 When I look at this sketch now, it seems to hold all my wonderful memories of the symposium as well as the excitement of a beautiful city that I want to return to again and again. Aug. 21, total solar eclipse, Oregon (right): Two years of planning culminated in about 10 seconds of solar eclipse totality for my family! Sept. 5, sun behind smoke-filled sky: A record number of wildfires have taken and endangered lives up and down the Pacific Coast this year. Smoke and ash from Central Washington filled the air around the Puget Sound area for many days. 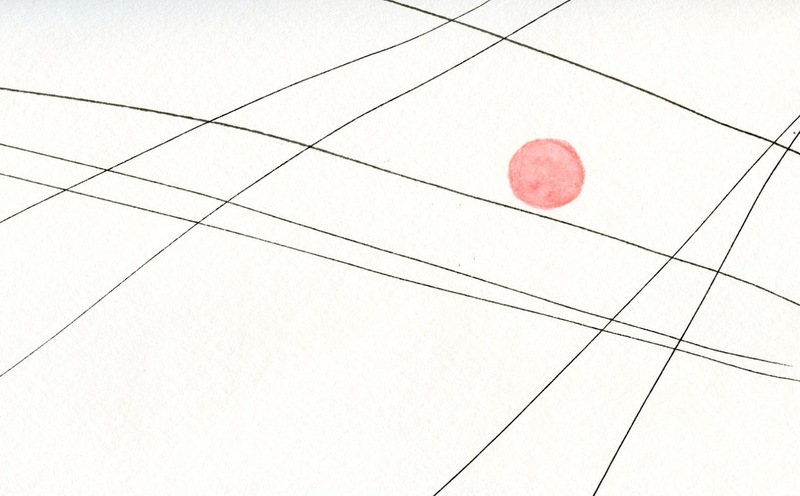 It was eerie to sketch an orange sun at 8:21 a.m. as if it were sunset – and to be able to look at it directly with my naked eyes, just as I did during the eclipse totality only weeks before. Oct. 28, maple trees at Northgate (right): Although some regions can count on gorgeous fall color each year, the Pacific Northwest is not one of them. All the conditions must have been right this year, though, because we had a particularly phenomenal autumn for color. I sketched trees whenever I could. This afternoon at Northgate was especially fun because Greg came with me, and he walked up and down the street with his camera as I sketched. 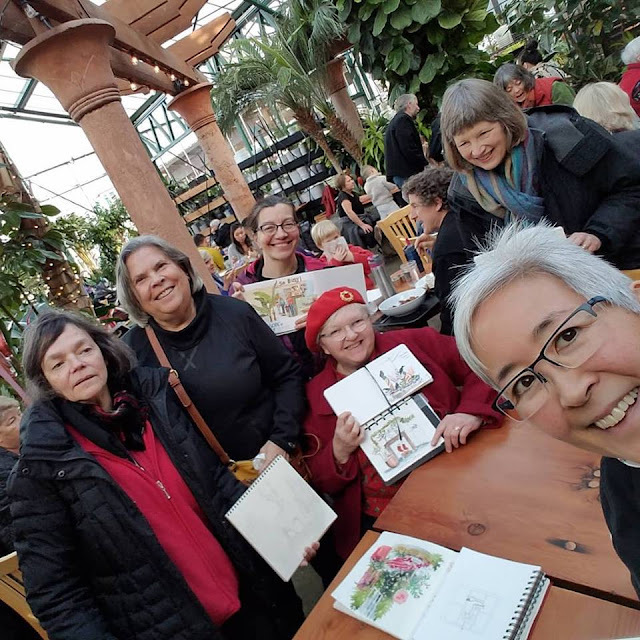 Nov. 11, King Street Station: Urban Sketchers celebrated its 10th anniversary this year, culminating in a worldwide, 24-hour sketchcrawl Nov. 11. USk Seattle had record-breaking attendance, including our founder, Gabi Campanario, at King Street Station. Gray and gloomy Christmases are common here; wet ones are even more common. 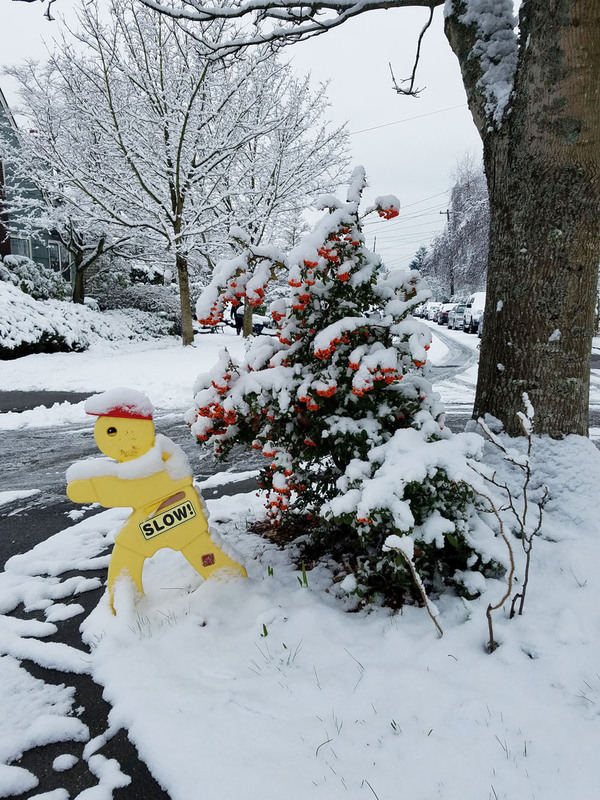 A white Christmas in Seattle, though, is rare. I can remember only a few as a child, and even fewer as an adult. 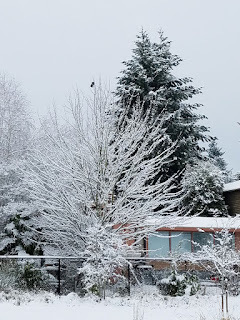 It started snowing late-afternoon on Christmas Eve, but the flakes were so tiny that I skeptically assumed they wouldn’t amount to much. 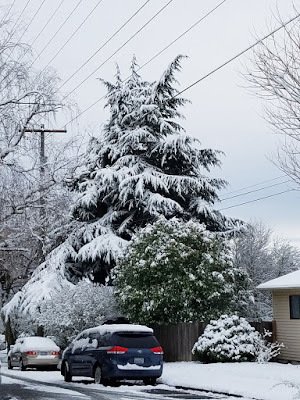 You can imagine what a treat it was to wake this morning to several inches of snow. After exchanging a few gifts, Greg and I bundled up and took a walk around our neighborhood – he with his camera; I with my sketchbook. 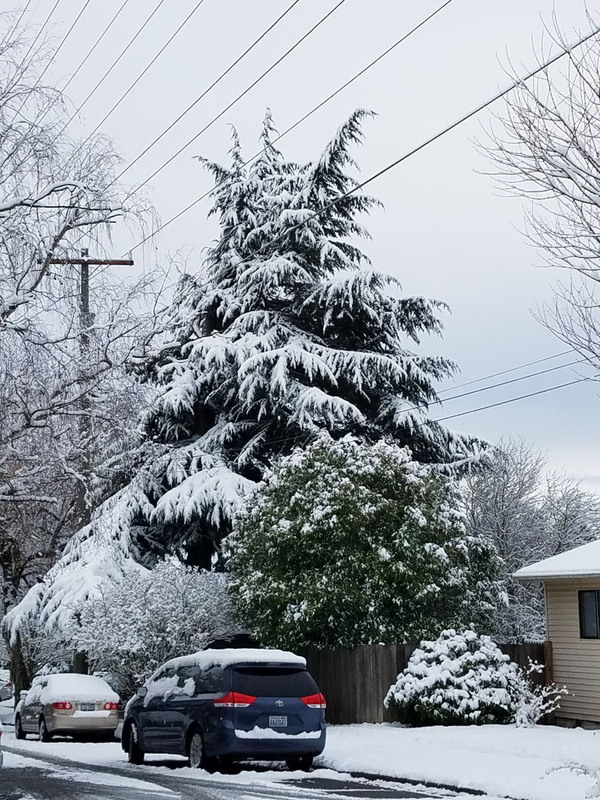 All the ordinary trees I see every day looked magical when covered with snow, especially the graceful weeping cypresses. 12/25/17 The same tree as above from the opposite side. 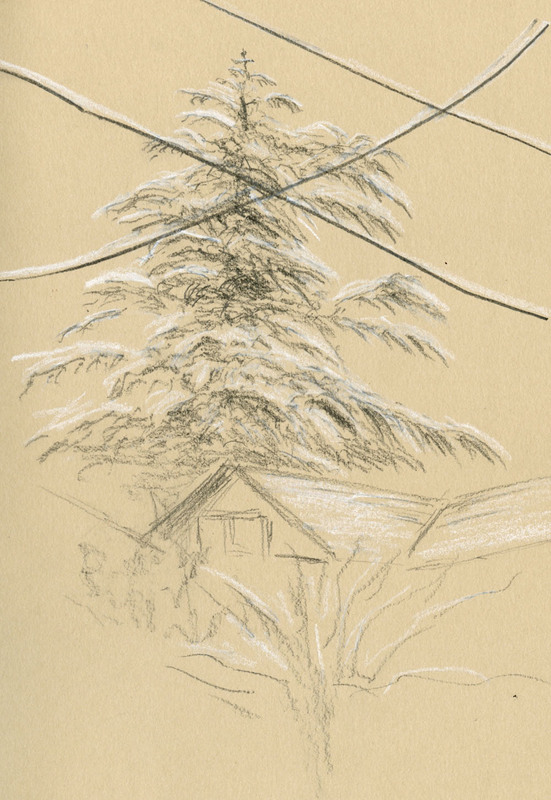 Technical note: I’ve been enjoying using the tan Stillman & Birn Nova for drawing people and indoor scenes, so I used it for a couple of these trees, but I think I prefer the gray one for snow scenes – the white seems to show up better, and it matches the flat gray of the sky. 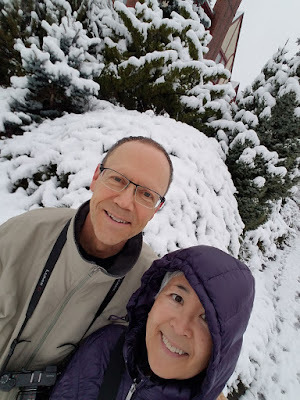 I hope you’re enjoying a wonderful Christmas, whether it’s white, gray, wet or sunny! 12/25/17 Crow on a wire. Last Thursday, Santa was having a busy afternoon at Northgate Mall. When I arrived, he was just getting back from his break, and at least a dozen families were waiting in line for his return. 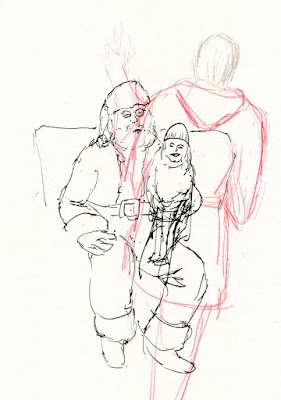 If Santa looks a little bedraggled, it’s because the clients he had right before the girl in this sketch put him through the wringer. The elder sister was an old pro at this Santa business, so she sat patiently next to him. But despite much cajoling from dad, baby sister would not have anything to do with this bearded man. She let out some ear-busting howls on Santa’s lap as the photographer snapped away. 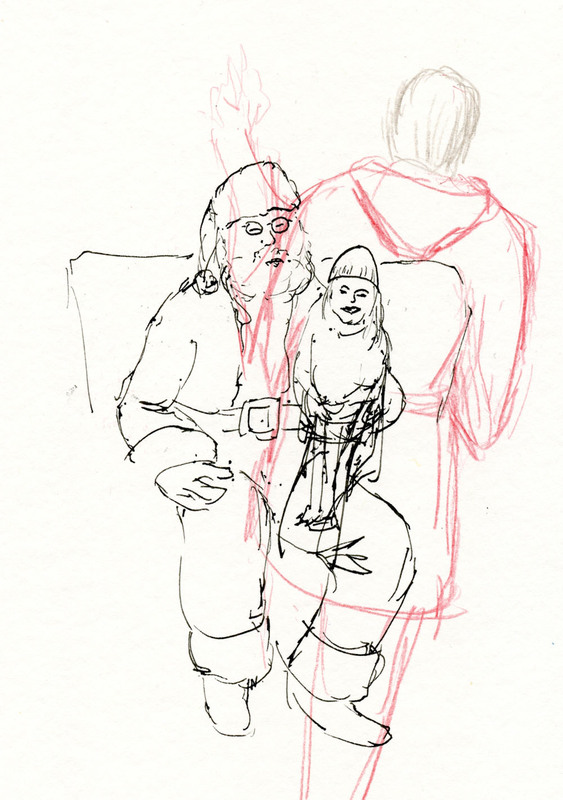 I admire this particular Santa, who always appears jolly and friendly, no matter who’s screaming in his ear (this is my fourth year sketching him). As usual, the holidays are such a joyous time of year for toddlers. Merry Christmas, and may your holidays be joyous, too! Edited 12/25: It turns out that the Santa photo tradition began right here in Seattle in the 1940s! Who knew? 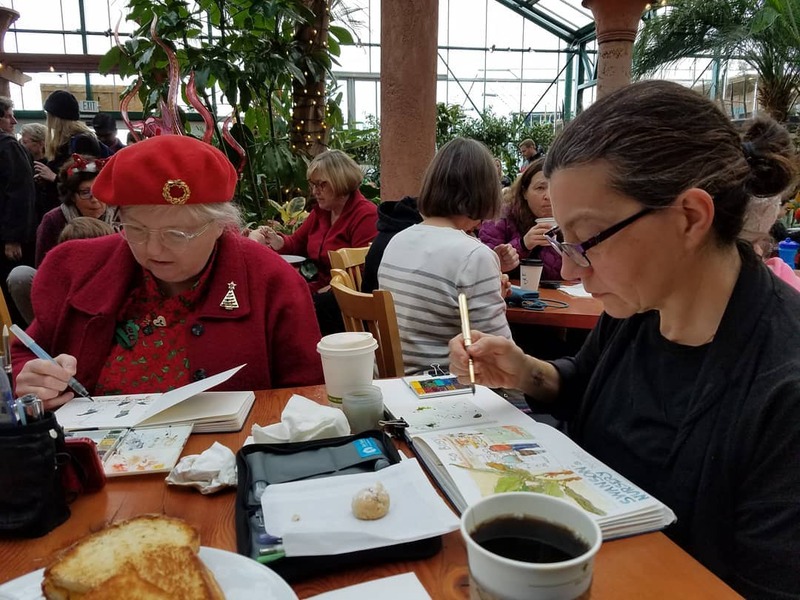 A Friday USk tradition since 2012, Swansons Nursery during the holidays is one of our favorite outings. We usually don’t schedule it this late in the season, however, and it was significantly more crowded than usual. First, I had to fight my way through swarms of kids to get to Blitzen and Dasher, the reindeer who visit the store annually. Then I had to fight my way through swarms of parents to get to Santa, with lots of Santa’s helpers blocking my view. 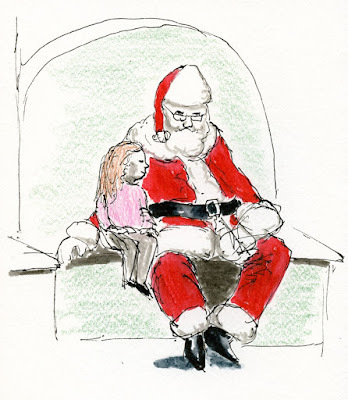 (Even with my limited view of him, Santa remembered me from the time I sketched him a couple of years ago.) At least I didn’t have to fight to get to Pippin, Alex’s new puppy, who stayed relatively still chewing his leash. After all that, I had to break for lunch, and then I had my usual 15 minutes left before the throwdown. 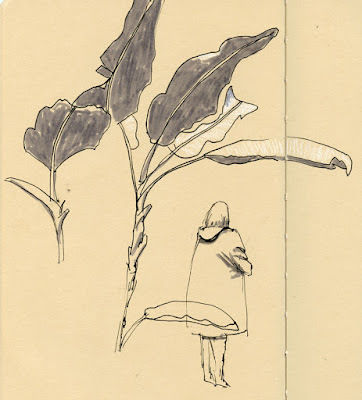 In Swansons’ crowded café, I had a mostly unobstructed view of the enormous banana tree growing by the koi pond. 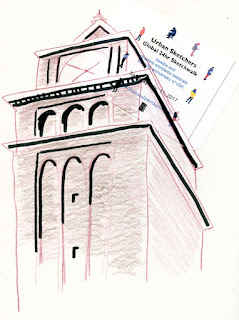 Despite the mobs, Swansons was still a fun way to end the year with Urban Sketchers Seattle! 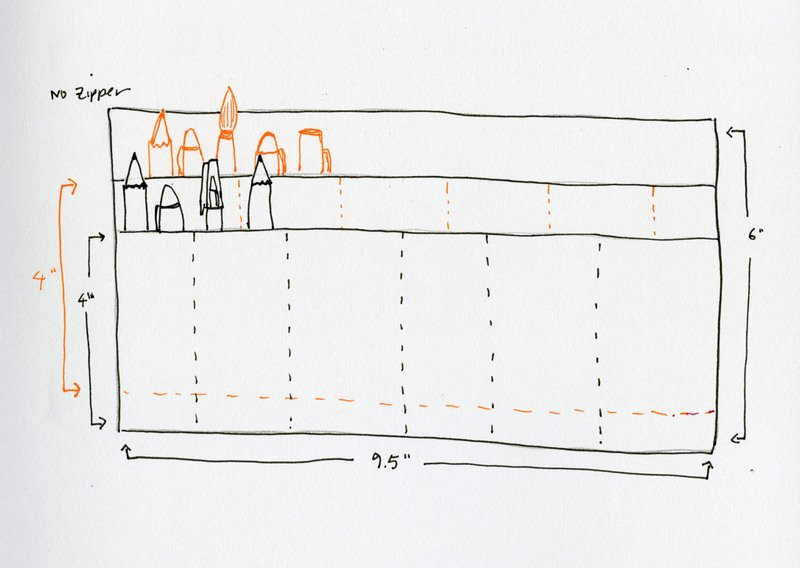 How Many Ways Can a Sketch Go Bad?